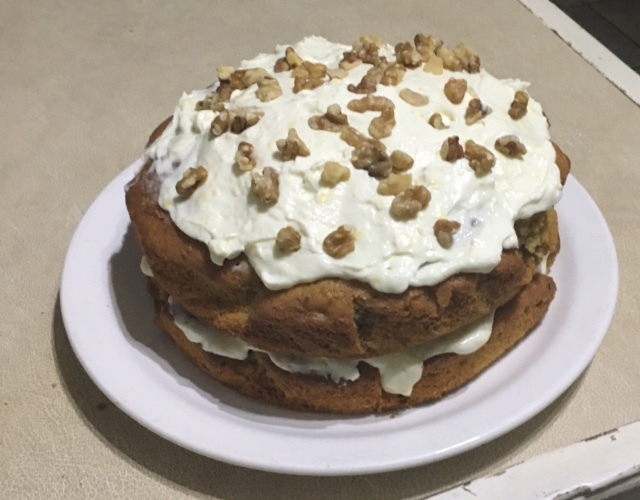 As part of our weight topic in Maths, the 3rd class maths group made a carrot cake. We carefully followed a recipe, making sure that we weighed out all the ingredients correctly. The ingredients were mixed together and then transferred into a round baking tray. The cake was left to bake in the oven for 35 minutes. We enjoyed sampling the cake after it had been iced.